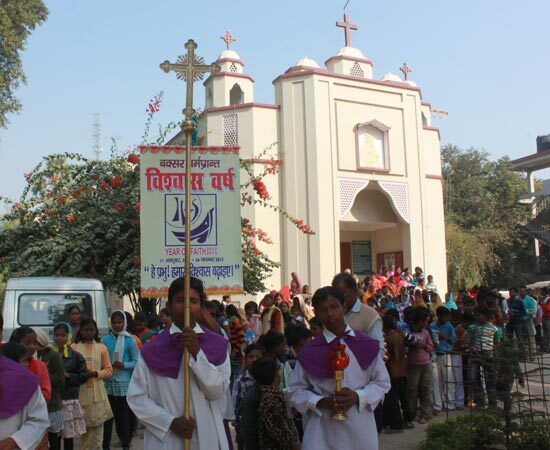 The creation of the new Diocese of Buxar was announced on Monday, 12th December 2005, to be bifurcated from the western part of Patna Archdiocese in the state of Bihar. The Diocese was officially inaugurated on March 25, 2006, with the ordination and installation of Rev. William D'Souza, a Jesuit of the Patna Province, as its first Bishop. Consequent to the transfer of Bishop William D’Souza to Patna as its Archbishop in 2007, Rev. Father Sebastian Kallupura of Patna Archdiocese was nominated as the second Bishop of Buxar Diocese on April 7, 2009. He was ordained and installed as bishop of Buxar on June 21, 2009.